Ayurveda meaning Science of Lifespan. Ayurveda deals with lifespan, it has procedures to determine whether lifespan will be short or long. It covers the entire community at both the levels at an individual & society. 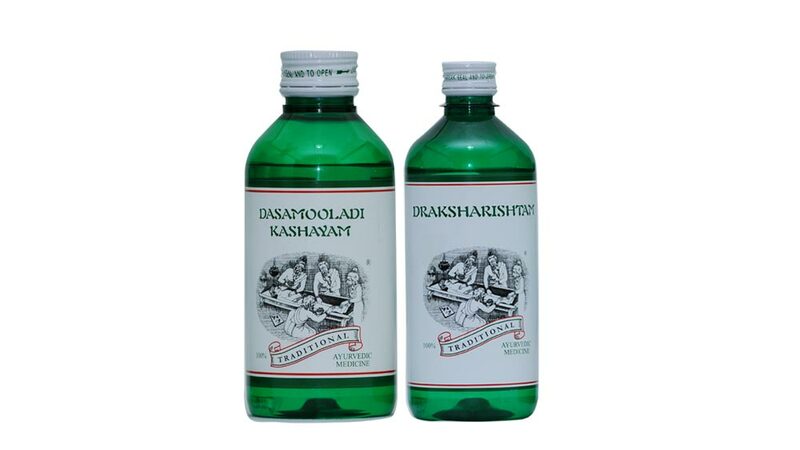 “Svasthasya Svasthya Rakshanam Aturasya Roga Nivaranam” - Protection, Preservation & Promotion of the health of the healthy & alleviate the disease of the sick. Kerala Ayurveda Institute aims at empowering Individuals with knowledge of spiritual & Ayurvedic science to assist the body in journeying back to optimal health. 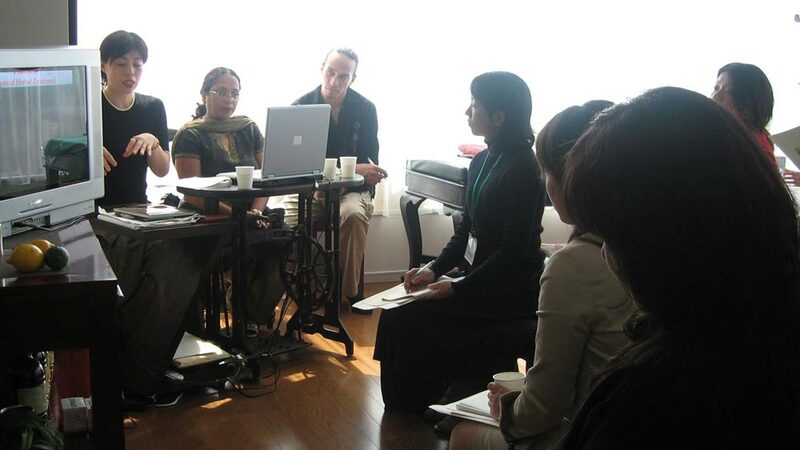 We empart Ayurveda Education to our individuals to show them a true ways to live a balance life. At our Ayurvedic Academy we provide holistic understanding and knowledege for healing people on all levels physical, emotional & spiritually. 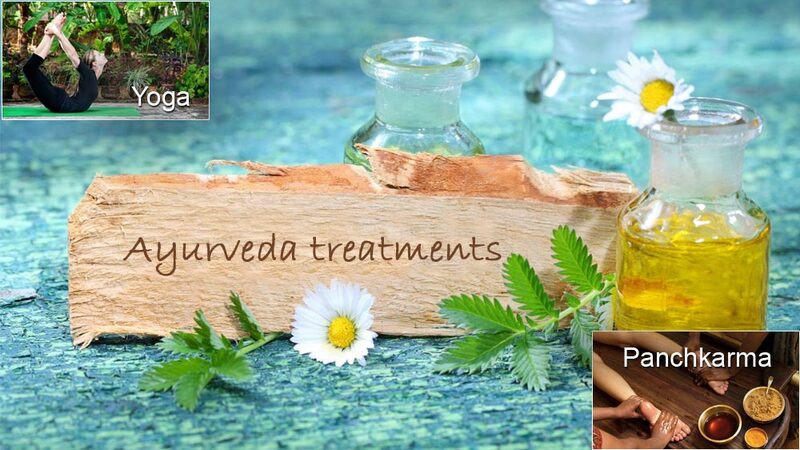 Ayurveda has multiple of healing variants including herbs, aromas, diet, colors, sound, lifestyle guidance, panchakarma, meditation, & yoga, we at our Ayurvedic College make students to believe & imply the Ayurvedic way of healing and living in their life. This will help them practice these ancient principles which are easily applicable to	modern life and that they have the power to create health and contentment. Being an Institute of Ayurveda we are proud to educate the society with Ayurveda as no other medical science today speaks of of maintaining the health of healthy people as one of its objectives. Our Ayurvedic Institute curriculum is comprehensively based on the guidelines of Ayurveda,Yoga, Unani, Siddha & Homoeopathy (AYUSH). 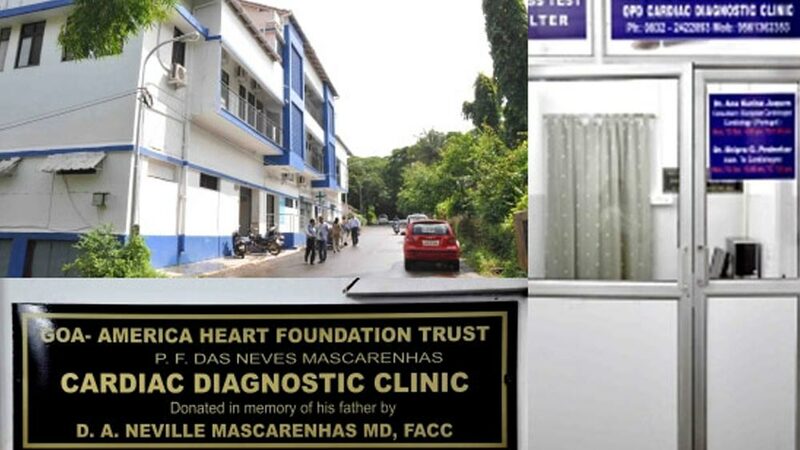 Method of Diagnosis likes Dosa Vidha Pareeksha, Astha Vitha Pareeksha etc. After the successful completion of the course, Certificate is being issued to the candidate. Kushalrani Gulab of the Hindustan Times recently visited our beautiful property in Kerala and left a glowing review in her newspaper . Mr. Takashi Okamura (Japanese Comedian and TV Star) visited Kairali Ayurvedic Centre New Delhi on 18/08/2012 for avail a massage on his visit to India. 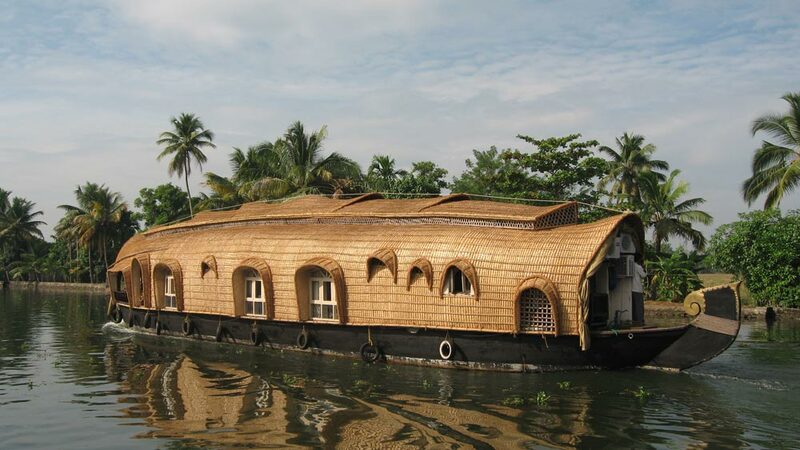 Dave Cauldwell from Australia indulged in colorful drama and soothing massages in Indiaâ€™s most southerly state, Kerala. 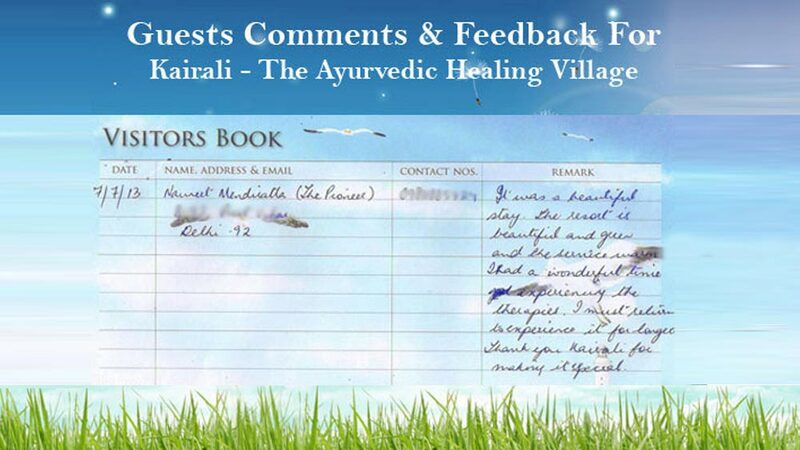 Kairali- The Ayurvedic Healing Village , one of the Best Ayurvedic Wellness Spa and Treatment Center in India. Kairali- The Ayurvedic healing Village is the best Ayurvedic Wellness Spa and Treatment center in India, it provides the guests with holistic and traditional treatment using all authentic ayurvedic products. An experience at the ayurvedic spa here is sure to leave you rejuvenated and revitalized in body , mind and spirit. This not merely a resort but a wellness retreat and healing center. 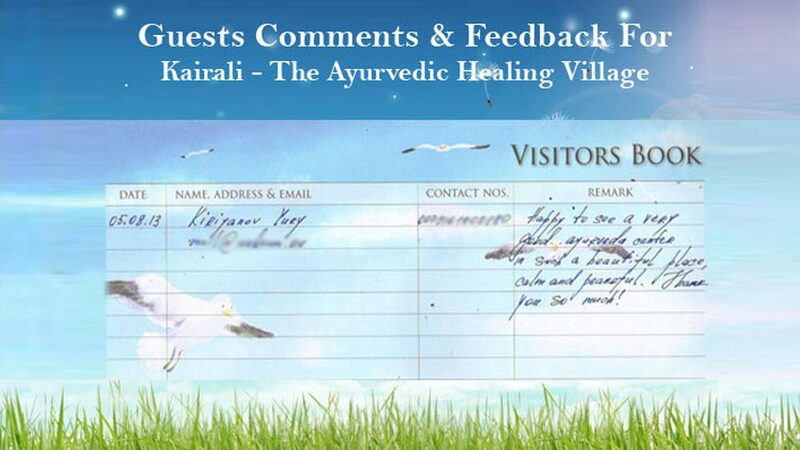 All About Kairali - The Ayurvedic Healing Village A Traditional Ayurveda Healing Center in Kerala. 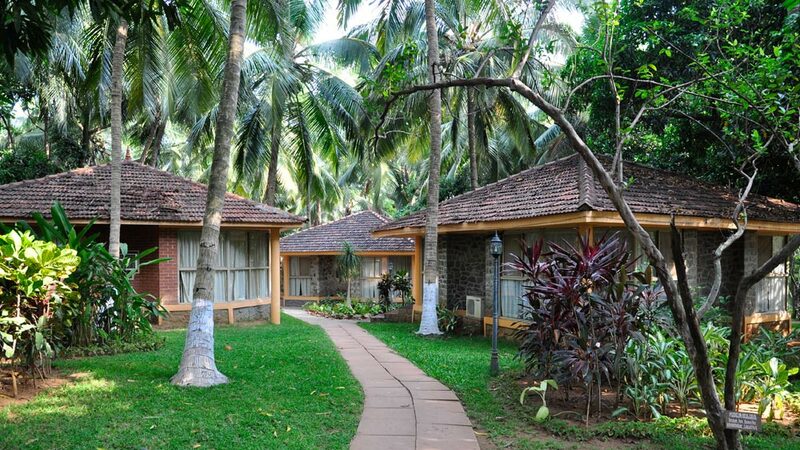 Kairali - The Ayurvedic Healing Village is one of the best traditional Ayurveda healing center in Kerala , India. . Itâ€™s a unique resort where you can get a combination of Ayurveda, traditional, culture, yoga, modern luxuries and nature. Ayurveda is regarded as the natural cure which not only uproots the cause but heals the body in an effective manner so that there is a permanent prevention of the ailment. 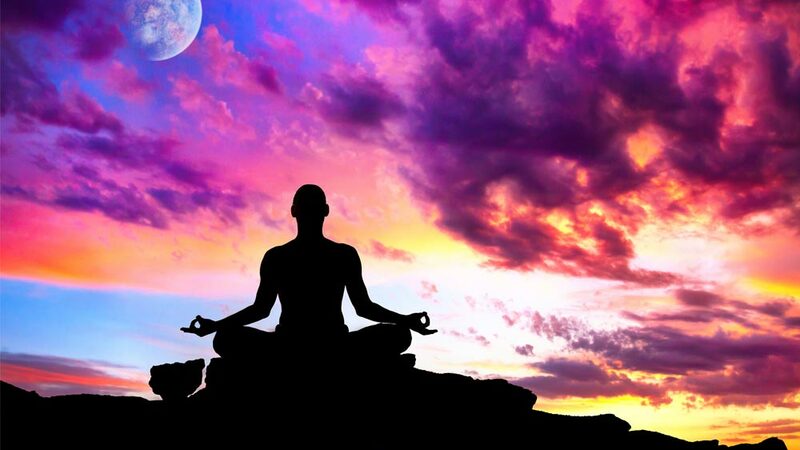 Certain components of ayurvedic treatment like yoga and meditation relax the body and the mind. Emphasis is also laid on various important methods like massage, balanced diet etc which ensure longevity and healthy lifestyle. Ayurveda and Yoga always go hand in hand and it is very vital that you take the advantage of both these sciences to gain complete wellness of body, mind and spirit. 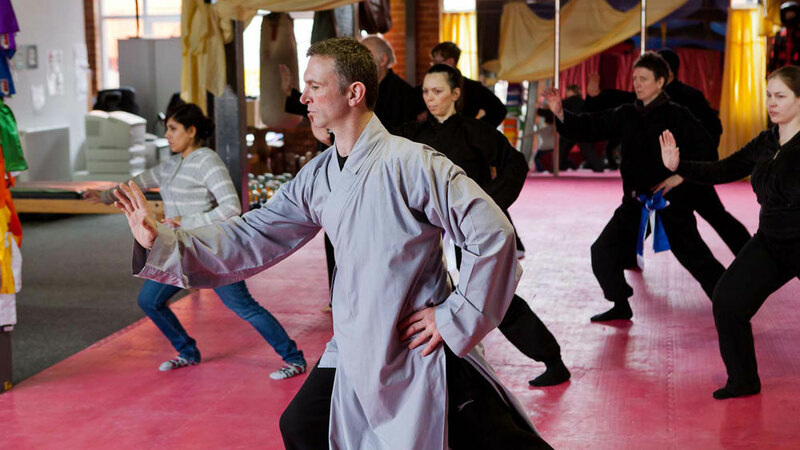 It gives the individual a sense of well-being by eradicating the imbalances of our body and mind. Ayurveda one of the most ancient methods of curing and healing. It is a science of health and wellness that is being practiced in India and the Indian subcontinent for centuries. It offers complete wellness of body and mind in the most natural way. 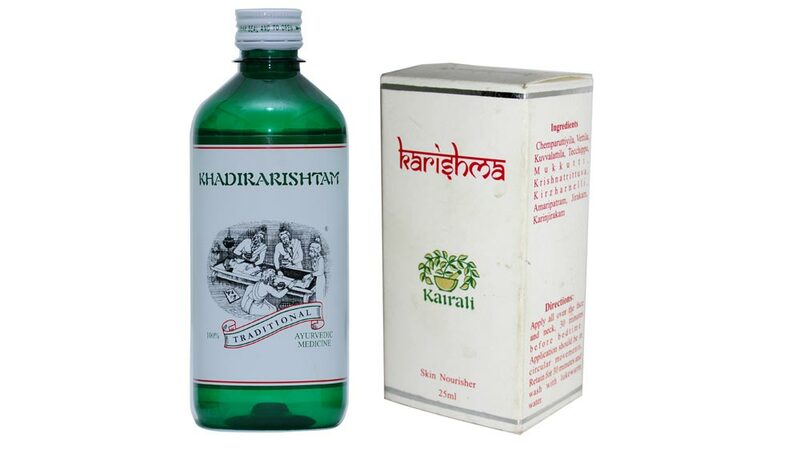 Kairali Ayurvedic products are of highest standards and are manufactured under strict quality. all the raw materials used are organic , environment friendly and are not tested in animals. A lot of research goes behind manufacture of every product that makes the products extremely effective and efficient. A migraine is a common type of headache that may occur with symptoms such as nausea, vomiting, or sensitivity to light. In many people, a throbbing pain is felt only on one side of the head. 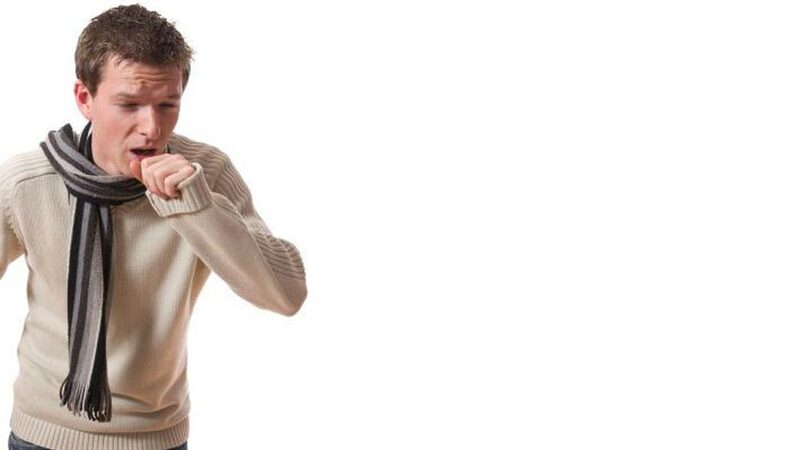 Some people who get migraines have warning symptoms, called an aura, before the actual headache begins. An aura is a group of symptoms, including vision disturbances that is a warning sign that a bad headache is coming. Frequency of attacks may vary. Ayurveda answers to the fatal pain of Migraine in the form of some safe and secure natural preparations. 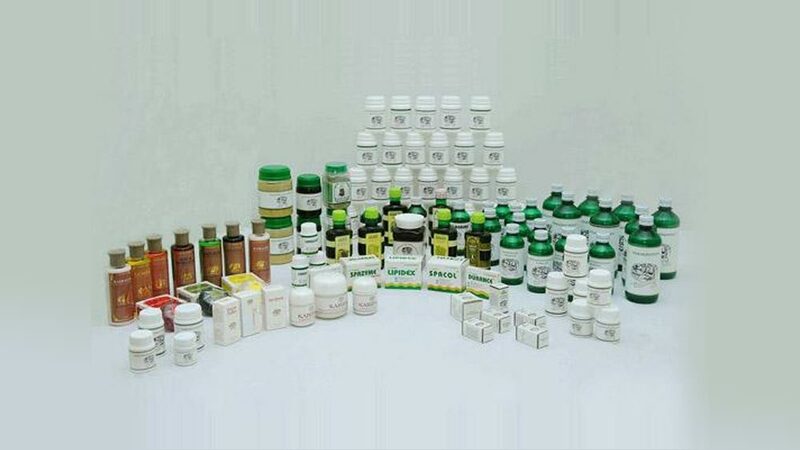 Ayurvedic products helps us to lead a healthy life that is free of all diseases. 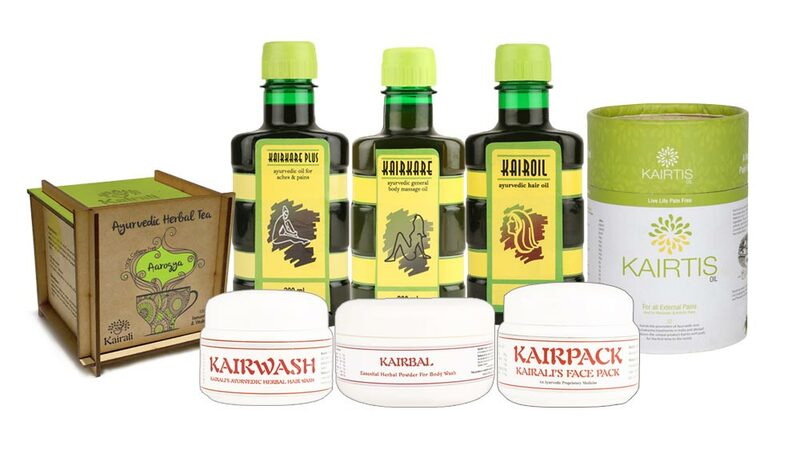 All the Kairali ayurvedic products are made by using organic herbs and are completely natural and free of all side effects. The most common and usual symptoms of hypertension are headache, pain in chest, dizziness, vomit, and fainting episodes. Its occurrence is basically due to anxiety, stress and tension and high intake of alcohols or smoking habits. Anxiety triggers the blood pressure in body and that leads to hypertension. 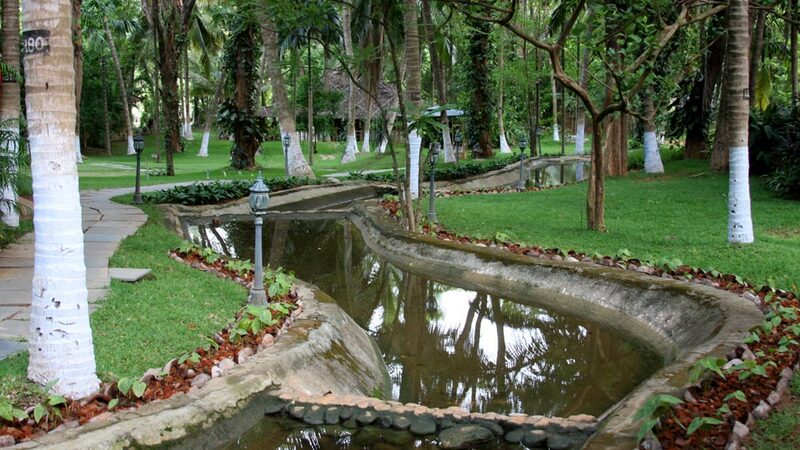 Kairali The Ayurvedic Healing Village in Palakkad, Kerala , India has been nominated under one of the most prestigious awards in the travel and tourism category of â€œIndiaâ€™s Leading Resortâ€ at the World Travel Awards, 2009. 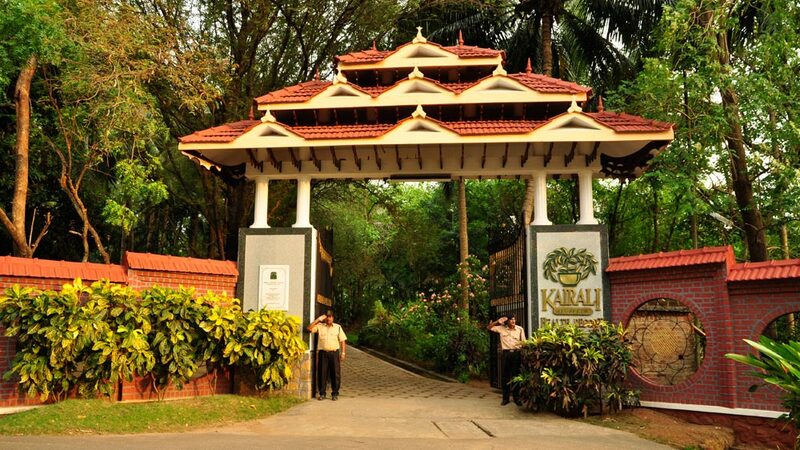 People travel the Kairali resort for the healing process of their ailments and the treatment depends on various packages for 3, 7, 14 or 21 days. It is indeed a desirable tourist spot. Most popular packages are Holistic Treatment for Rejuvenation and Detoxification, Special Package to Remove Stress and Strain and Special Ayurvedic Health Programme for Weight Loss, among others. It is therefore a must visit. 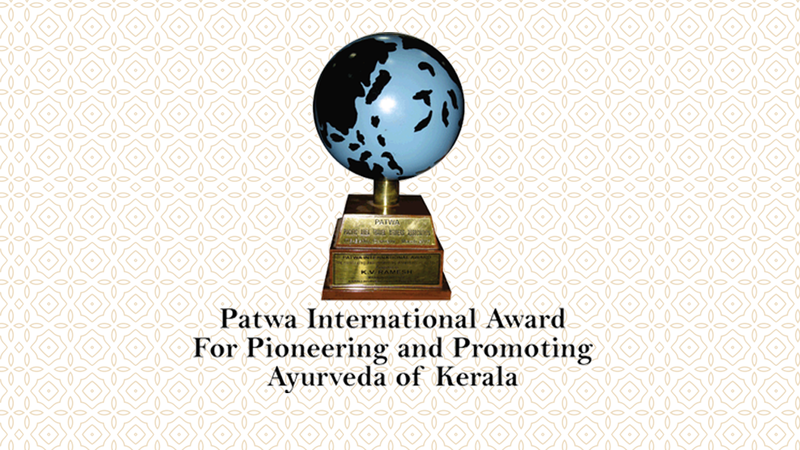 Kairali -The Ayurvedic Healing Village has received one of the mot prestigious awards of the Travel industries- the PATWA awards 2007, for its contribution in spreading the Ayurveda internationally. 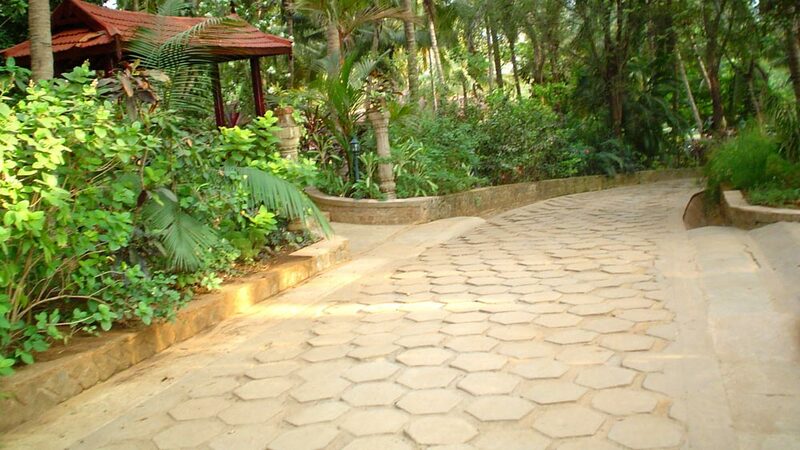 The moment you step on the land of Kairali - Ayurvedic Healing Village, it alienates you from the mundane world. Your body receives a kind of serenity which is altogether a different feeling and something that every day you donâ€™t get to experience. 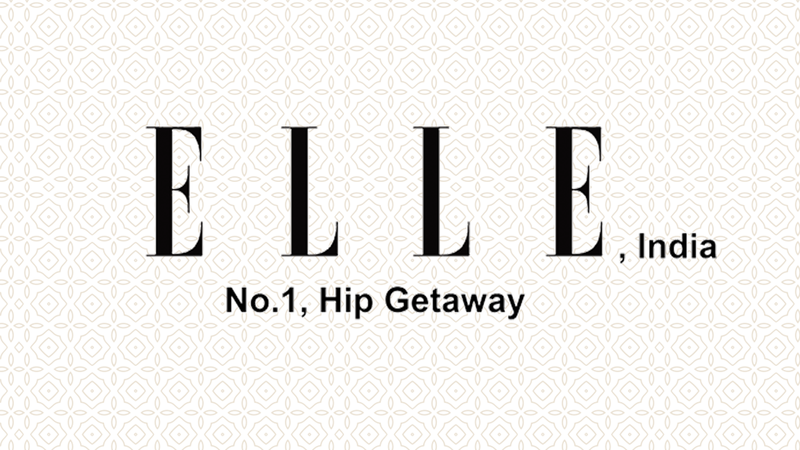 Kairali - The Ayurvedic Healing Village featured in famed Elle Decoration issue as "Our Favourites"
Elle Decoration is one of the world's leading home magazine. It is considered as an authority in design and style. This prestigious magazine has featured Kairali - The Ayurvedic Healing Village is one of its issue as â€œOur Favourites -2011-2012". How Effective is Ayurvedic medicine? 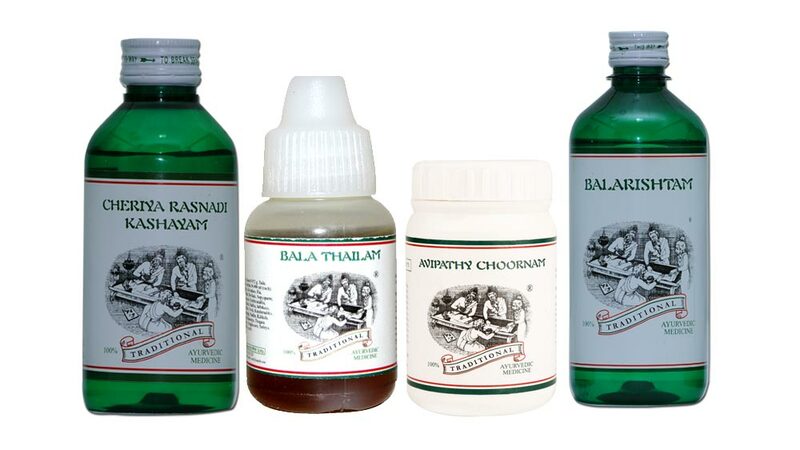 As many patients from all over the world turn to Ayurveda and other forms of treatment after trying out allopathy, the efficacy of this ancient form of Indian system of medicine is on test. So here we have put together some real time research and studies conducted in the field of Ayurveda to prove the efficiency of the Ayurvedic medicine. 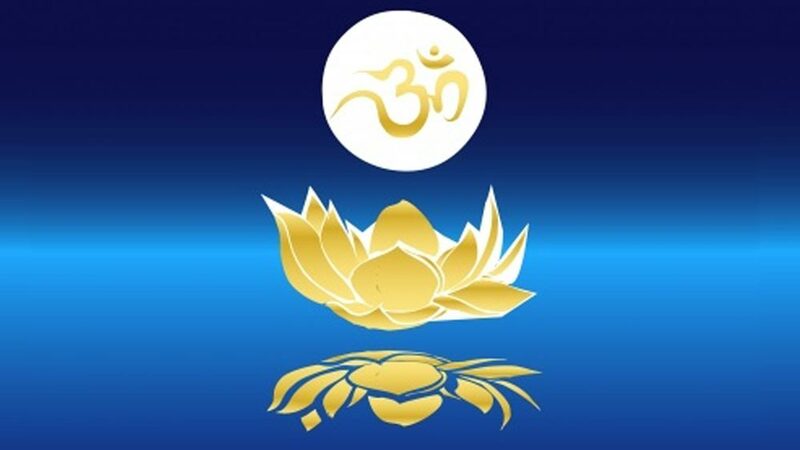 The sound of Om is the beginning and end of Indian mysticism. As the sole topic of the Mandukya Upanishad, which is alone said to be enough for salvation; Om contains the entire spectrum of esoteric wisdom. Panchakarma is the core detoxification process of Ayurveda - a preventative natural health program able to target disease at the earliest possible stage. The rich philosophical wisdom of the Vedas gave rise to the six orthodox schools of Indian philosophy, and countless other approaches to the fundamental Truth behind material reality. 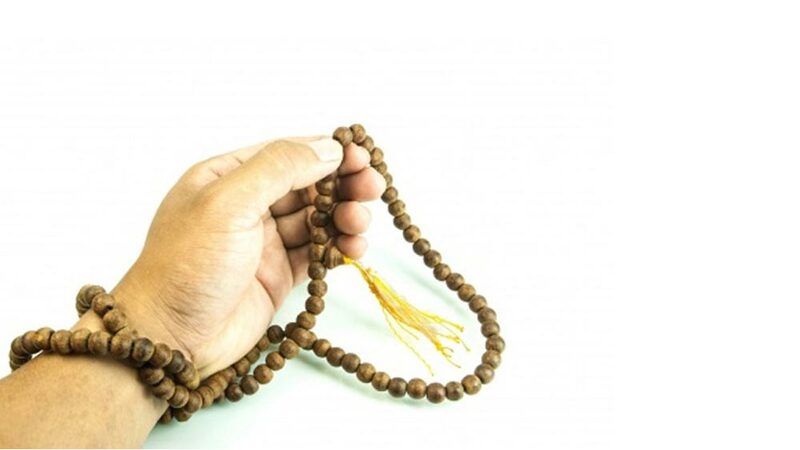 The practice of mantra chanting is at the very root of the Vedic tradition. 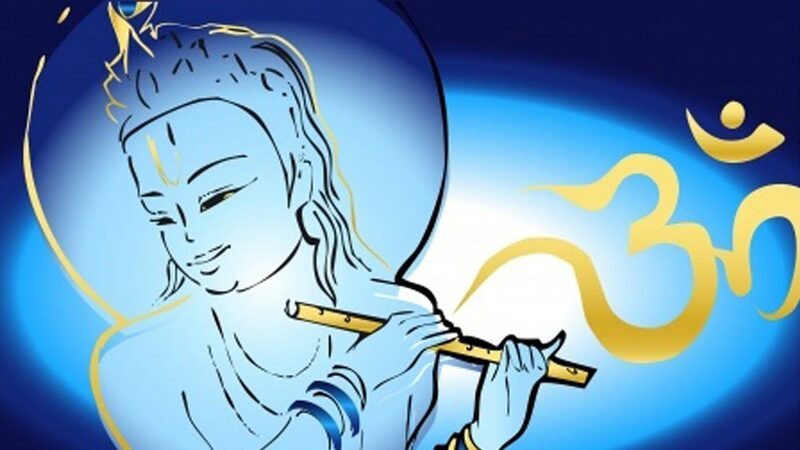 As verses of poetic and philosophical beauty in perfect Sankskrit meter, the Mantras form the most significant part of the Vedas, whose other half, the Brahmanas, commented on their recital. 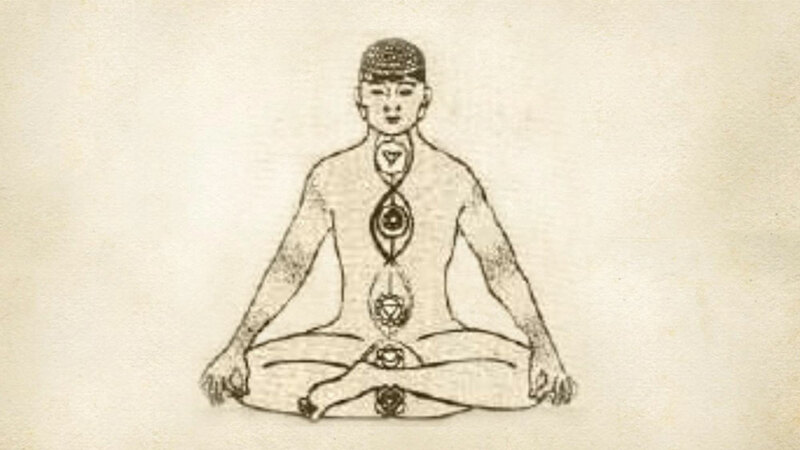 As the third limb of Patanjalis ashtanga system, pranayama (the Yogic manipulation of breath) was originally a separate practice, becoming synchronized with asana only in the modern lineage of Krishnamacharya. 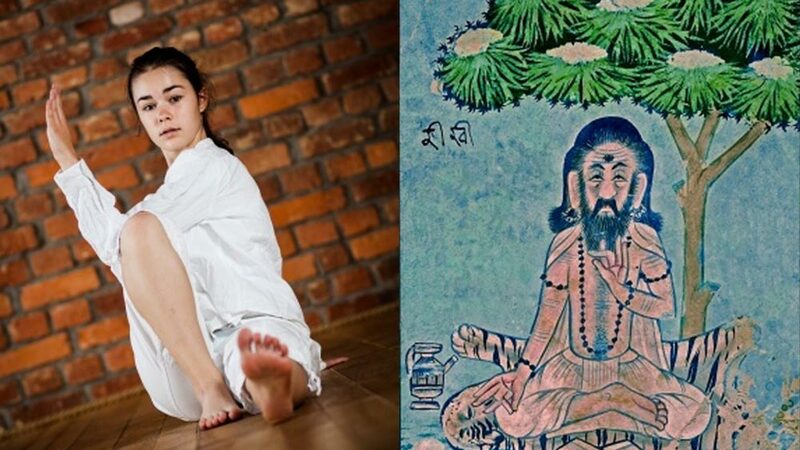 Yoga and Ayurveda are known all over the world to be sister sciences, arising from the same cultural and philosophical background and sharing a common goal. The wellbeing travel market has changed a lot over the last decade. Where spa breaks were previously the mainstay of wellbeing tourism, retreat experiences are now advancing as a major alternative; the result of an increasingly discerning market of consumers. Those converted to the benefits of yoga may find that their weekly yoga class leaves something lacking. How to Succeed in the Yoga Business. The prolific growth of Yoga around the world has made Yoga teaching more of a feasible career choice than ever before. But, just as many dedicated practitioners are now able to make their livelihoods from Yoga, so the market has flooded and the choice of Yoga teaching as a career has become fraught with all the dangers of any small business. Planning Your Daily Cycle - the Yogic Way. The wisdom of Yoga goes much further than the physical practice of asana and pranayama. Real Yoga means skill â€“ intelligence based on self-knowledge and knowledge of the environment that surrounds you. As a Yoga retreat organizer based in India for many years, I had frequent opportunities to experience the authentic Ayurveda ; queuing with the locals to see the village doctor, taking part-time treatments on the tourist trail and even working in a 100-bed Ayurveda charity hospital. The Wonders of Indian Philosophy - What is Mimamsa? Vedanta is the best-known philosophical school of India, to the point where its name is virtually synonymous with Indian Philosophy worldwide. With the prevalence of mood disorders in the world now a days, Yoga techniques are called upon more often than ever to correct psychosomatic conditions like depression. Why Ayurveda is Unique than other System of medicine ? 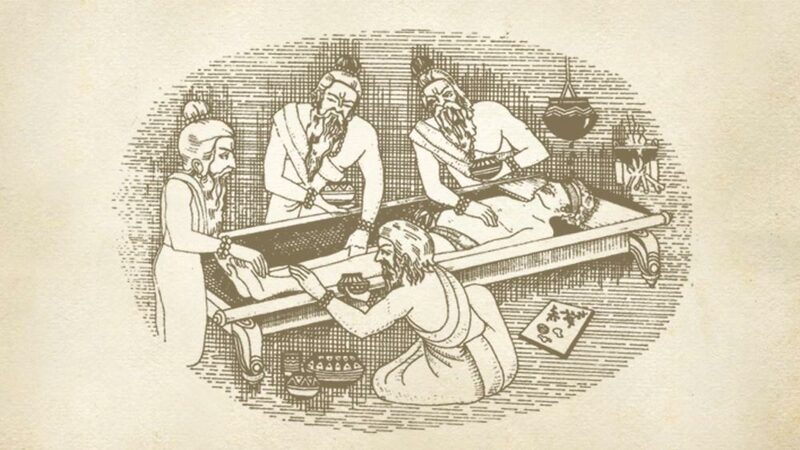 Ayurveda is a 5000 year old healthcare system that originated in India. This is the most unique form of medication as it does not believe in one medicine for all, Ayurveda teaches us that each individual is different so is the their treatment. Ayurveda understands the root cause first and then applies the same understanding to root out the disease from your body.It is a holistic form of treatment that first understands the body and comprises of diet, Yoga, massage, detoxification, herbal remedies, meditation and daily lifestyle. Is Ayurvedic Medicine Harmful ? 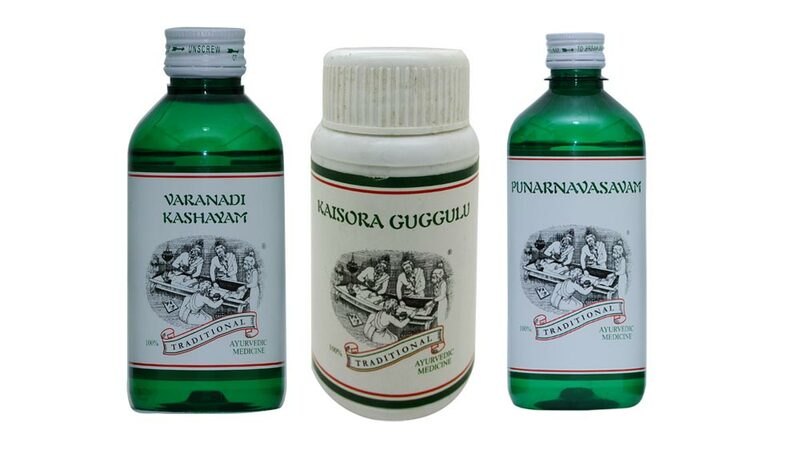 There is a lot of debate about ayurvedic medicine and its authenticity. But one needs to understand that Ayurveda is a natural way of treatment and it tries to bring the body in perfect balance with our surrounding nature. 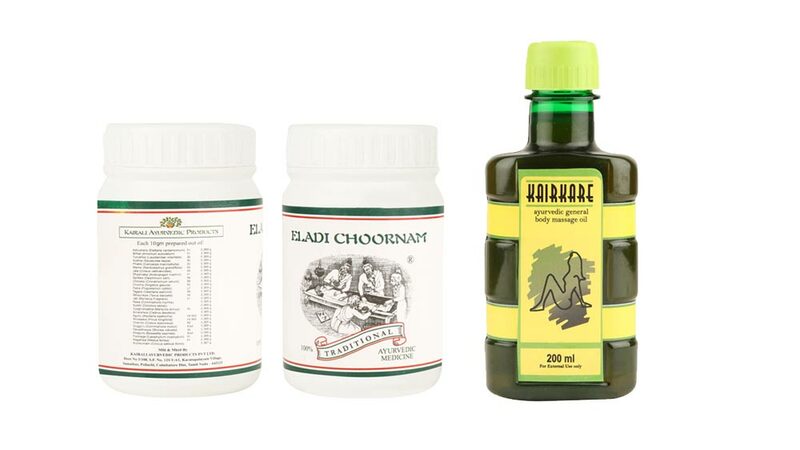 A traditional and true ayurvedic medicine can never harm you, you just need to be careful about the place and the ayurvedic products you are using. The Ayurvedic definition of beauty is subhanga karanam-transforming all aspects of body and mind to the most auspicious level. 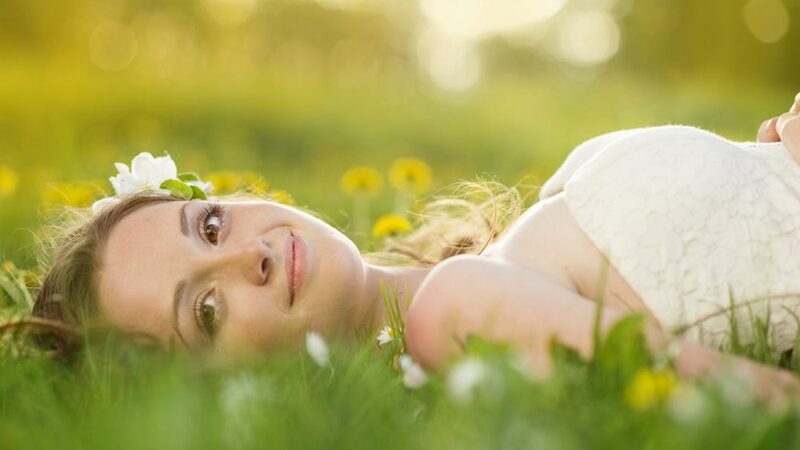 Ayurvedic sense,the beauty is more than just skin-deep; Ayurveda propagates that proper diet and exercise are the basic necessities for a beautiful body. 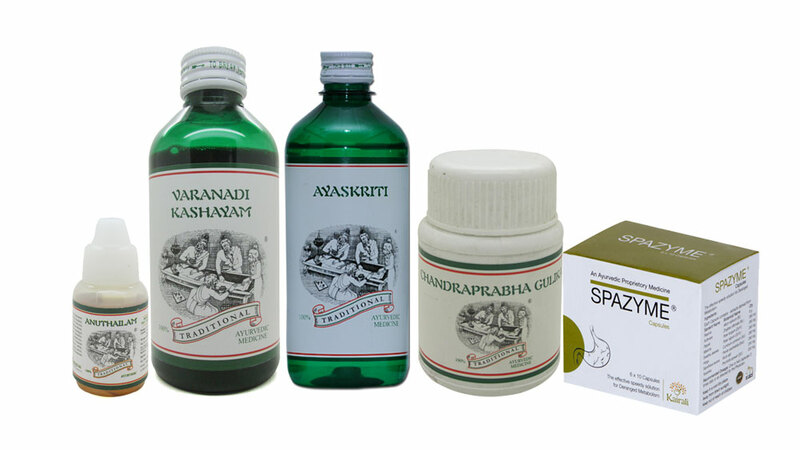 Ayurveda offers complete solution for all the curing, rejuvenating and beauty aspects of the body. 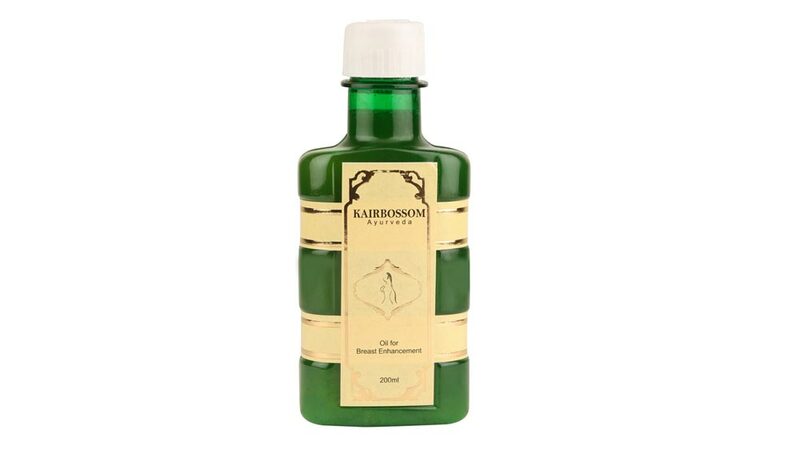 Kairali Ayurvedic Beuty care treatments uses only natural ingredients and has been formulated with a thorough understanding of the therapeutic effects of Indian herbs. The Ayurvedic approach is that the body should be always kept in balance and the immune system should be at peak efficiency so that infections and ailments does not affect the body. If there is a lapse in balance, then rebalance and specific herbal treatments may be necessary to bring the body back to health. To stay healthy, the five basic elements of the Universe (Air, Water, Fire, Earth and Ether) need to remain balanced and in harmony within the body. These elements exclusively design each one of us and are known as our Dosha. Knowing your Dosha will help you determine lifestyle choices and the nutritional needs that will benefit you most on the quest to create optimal wellness and beauty. 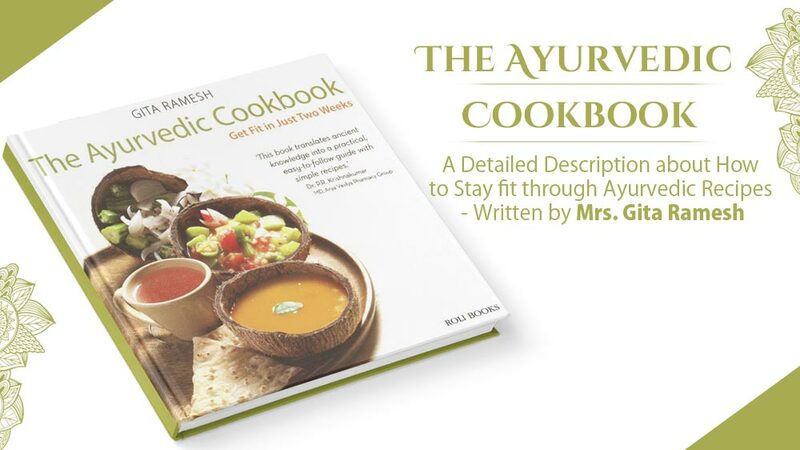 The Ayurvedic Cookbook is an amazing ayurvedic cooking guide authored by Mrs Gita Ramesh â€“ Joint Director of Kairali Ayurvedic Group. This book is a compilation of recipes that will not only help you to lose weight and stay fit but also will make you realise that weight loss is as much about how you eat as it is about how much you eat and you do not need to starve yourself to lose weight ; you can have three proper meals a day that are vegetarian and nutritious and yet lose weight and stay fit â€“ you do not require dieting to lose weight. 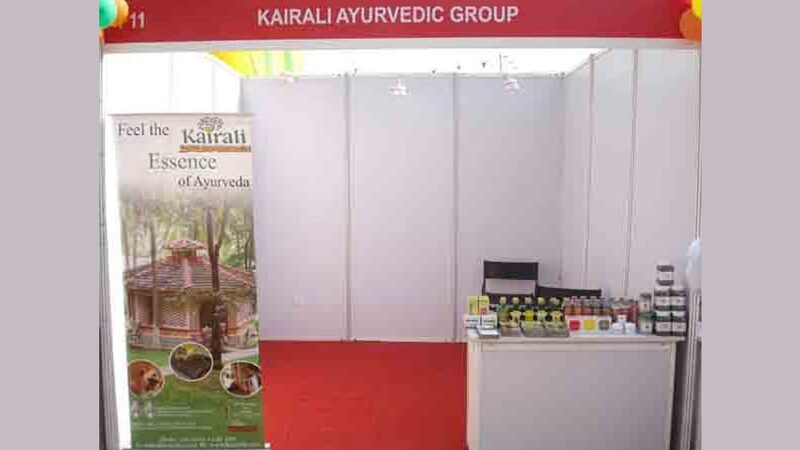 Kairali Ayurvedic Group, Pioneers in Ayurveda, partnered with M/s Mic & Melons as Resort Partners for an Event Kidzoo Camp organized by them at Kalka Public School, Alaknanda, New Delhi. 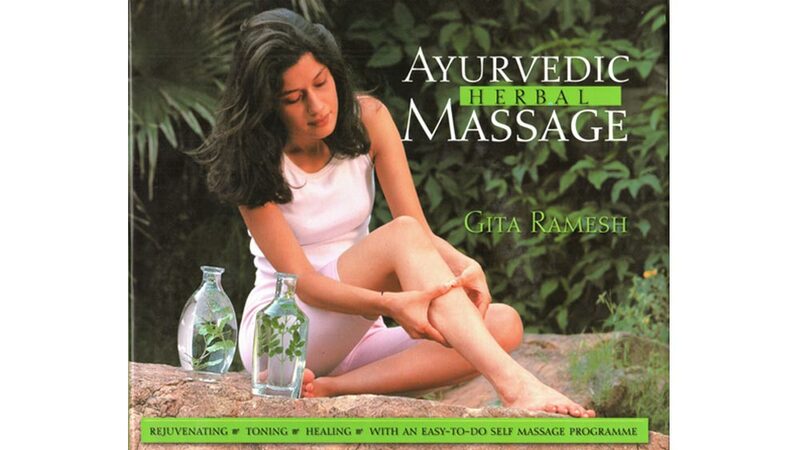 Ayurvedic Herbal Massage Book- A Must Read! Ayurveda herbal oil massage has numerous benefits and an Ayurvedic massage is performed with warm essential oils following the guidelines of Ayurveda. Massage with Ayurvedic oils can relieve your mind and body from many kinds of stresses and toxic build ups. Regular self-massage rejuvenates your entire physical structure and promotes mental relaxation and also revitalises the body and the mind empowers the one who follows it to maintain optimum health. 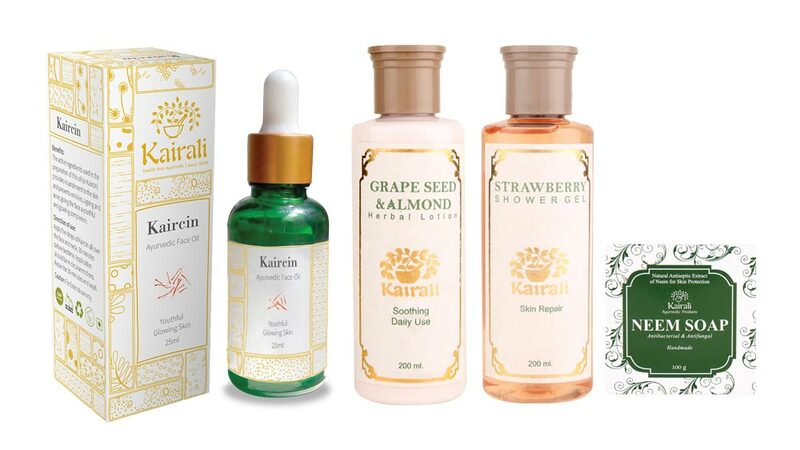 Kairali takes a holistic approach to beauty, always approaching the concept as an external expression of inward health and vigour. Guests on our Beauty and Eye Care Packages experience a range of classic Ayurvedic health practices aimed at removing toxins at the deepest level, while smoothing the skin and restoring the body. Kairali Yoga Beginners Yoga Retreats offer guests the chance to gain a solid basis in Hatha Yoga - the foundations of a practice they will be able to take home with them. The leading choice of many of our customers, Kairalis Holistic Treatment for Detoxification and Rejuvenation offers a traditional Ayurvedic wellbeing routine, as well as personalized treatments for your individual health needs. Preventive and Regenerative Ayurveda in Kerala, India. Our Preventive and Regenerative Retreat Package allows you to experience world-class Ayurvedic treatments in the natural healing environment of Kerala, India. Kairaliâ€™s basic retreat package offers guests all the benefits of traditional Ayurveda, with a treatment routine reflecting the advice of ancient scripture. A Natural Cure for Slipped Disc with Kairalis Ayurveda. 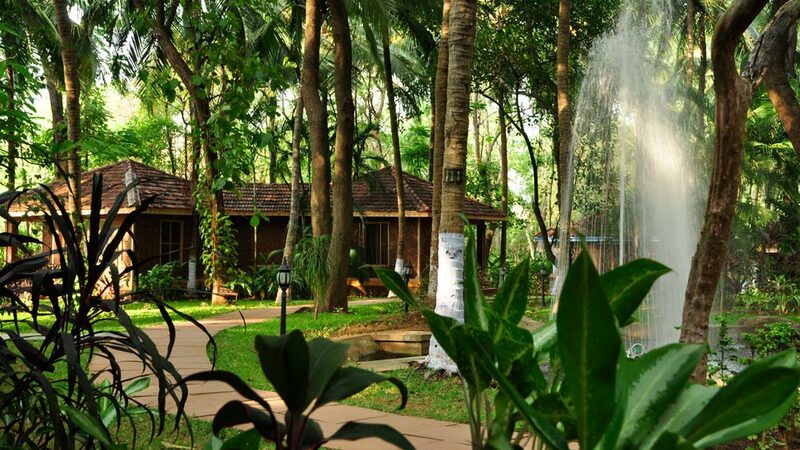 The retreat center offers a registered Ayurvedic Hospital, considered the model of an Ayurvedic health resort by no less an authority than the Government of Kerala. 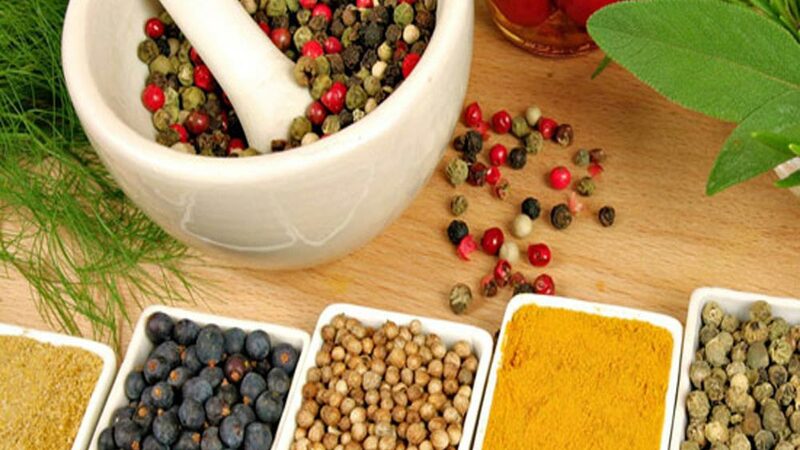 As an Ayurvedic Hospital, The Ayurvedic Healing Village is well-equipped to deal with serious health problems; bringing total relief from conditions that Western medicine has not yet found a way to treat. 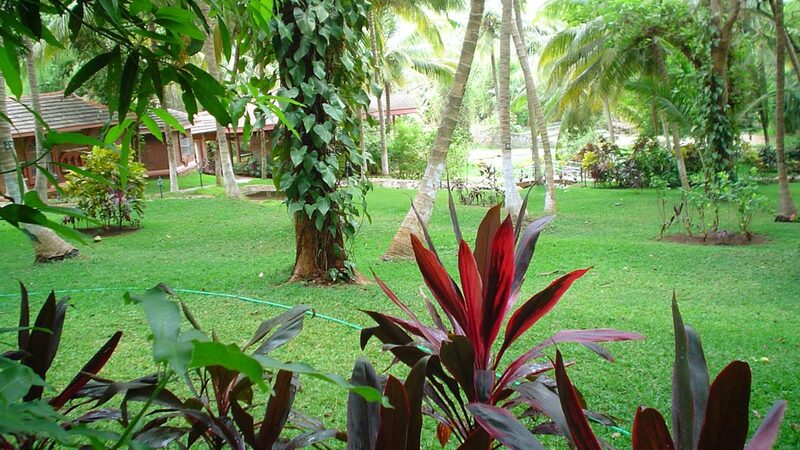 De-addiction and Rehabilitation Retreats in Kerala, India. 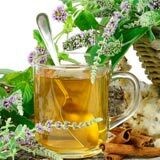 The problem of addiction to alcohol, drugs, or tobacco is particular to our present day, but nevertheless, ancient Ayurvedic practices provide all the methods for detoxing the affected organs. Skilfully applying restorative Ayurvedic health practices to target the affected organs, the Kairali De-addiction program pacifies withdrawal symptoms while providing a holistic framework in which the sufferer can gain renewed physical and emotional strength. Finding Harmony with Kairalis Ayurveda. The use of ancient, natural methods to counteract the imbalance resulting from modern life now leads the wellbeing market at home and abroad. With pressures coming from all quarters, the working hours required in the West drain oneâ€™s vital energy almost as much as the methods used to find temporary relief. GOA - AMERICA HEART FOUNDATION Organized GALA CHARITY BALL on September 21, 2013 at New Jersywhere it held a Silent Auction and Kairali was one of the Silent Auction Donor for the event. Kairalis Ayurvedic Treatment for Bronchial Diseases. According to the ancient science of Ayurveda, bronchial disease is classified as a kapha Dosha disorder; a condition associated with phlegm and requiring treatments targeting the chest and torso. Ayurveda provides an excellent natural cure for two of the most common chronic problems of our day, combining herbal remedies and holistic lifestyle management. Our expert Ayurvedic doctors recommend a minimum stay of 7 days in which to successfully treat sinusitis and migraine, and advise that a more complete cure can be achieved over a period of 14 days. 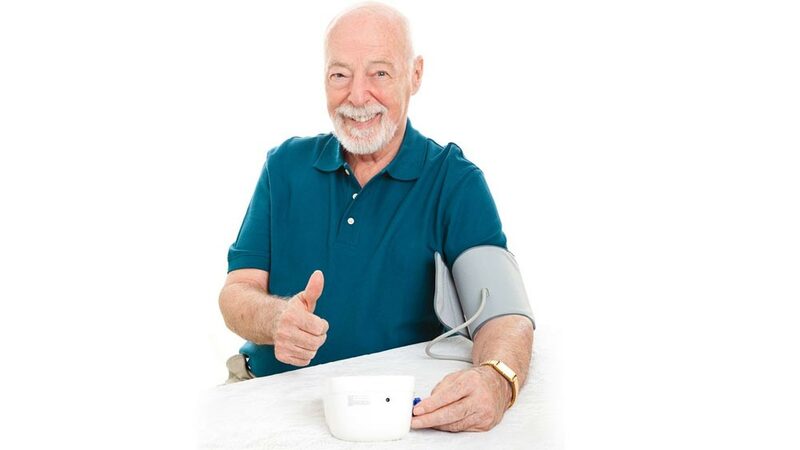 Treating Hypertension with Kairaliâ€™s Ayurveda. The Ayurvedic approach to health is entirely different to the Western focus on disease and cure â€“ Ayurveda steps in to the curative process much earlier. Ayurveda represents a vast body of medical knowledge dedicated to treating the cause of disease, in order that the symptoms will never need to arise. The mainstream healthcare for long has been looking for total cure of arthritis but in vain. Ayurveda since ancient times have provided great relief for this ailment and now more and more people all over the world are looking at Ayurveda to get permanent relief from the pain of arthritis. Ayurveda not only offers permanent and long term relief from this ailment but also helps in losing weight and dealing with the lifestyle issues related to arthritis. 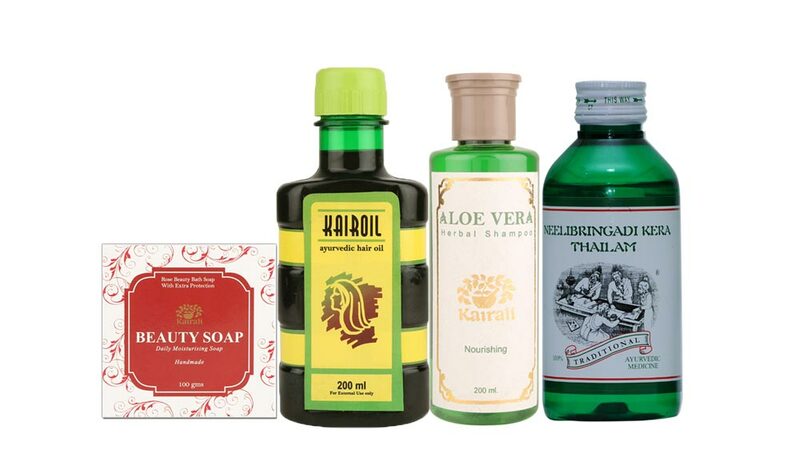 In a recent article dated 20th February 2014 in the Hospitality Biz India.com the success of Kairali Ayurvedic Group has been highlighted and it is been written that the Kairali Ayurvedic Group is planning to set up four new Spa Training Institutes in different parts of the country. 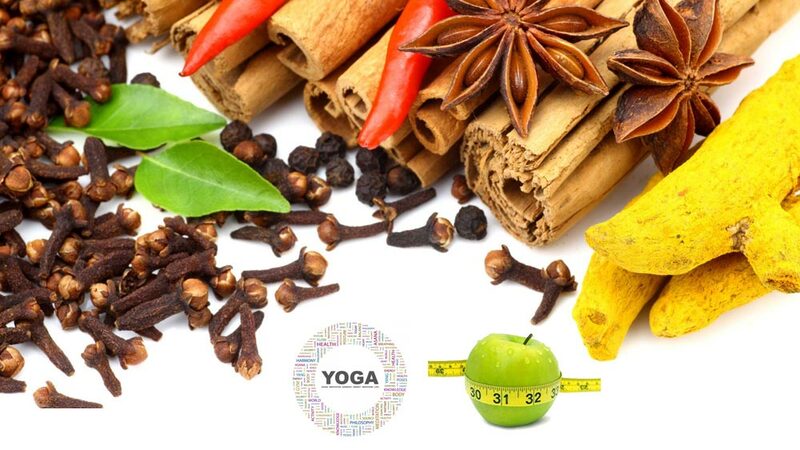 Ayurveda does not regard Diabetes as a disease that can be treated by mere medicine or by a dietary change. The Ayurvedic treatment for this disease is based on an entire change in the lifestyle of the person. Along with medication and diet, the patient is also advised to lead a healthy lifestyle and live an active life. Dietary and lifestyle changes rejuvenate the bodyâ€™s cells and tissues, allowing them to produce insulin properly. Ayurveda is the most natural way to cure diabetes and has no side effects. Most women have read and heard about surgical breast enhancement procedures and if they suffer from sagging or underdeveloped breasts normally wonder whether there are any other alternatives. One of the best alternative is the Ayurveda way Ayurvedic breast enhancement methods are natural, cost effective and free of all side effects. If you are concerned about your small or sagging breasts and you truly want to do something about it, the first thing you will need to do is to stop worrying and try Ayurveda. Kairali - The Ayurvedic Healing Village - featured in the prestigious OM magazine.com ! 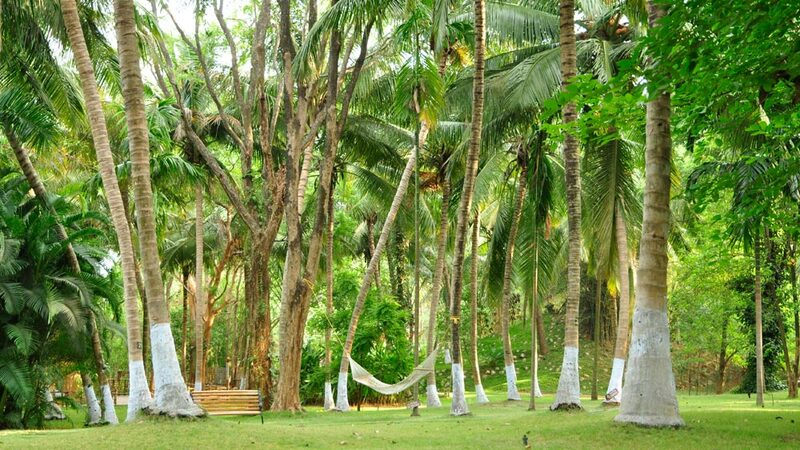 In a special issue of Ommagazine the Om special - Live Your Dream in 2014, Kairali - The Ayurvedic Healing Village has been referred to be as the ultimate detox destination in South India. The author Emily Yates says that The Healing Village is the best place to experience panchakarma in its true and authentic form. An interesting article about the latest spa trends in the year 2014 in the Humming Notes wherein Abhilash K. R., Director of Kairali Ayurveda Group feels that anti-ageing treatments and preventive care would rule. He believes that people have started taking care of their body and mind by doing preventive therapies and anti-aging therapies to maintain their youth.. The Karali Ayurvedic Group has opened a new wellness and yoga retreat in Rishikesh. This is the fourth wellness destination by the group and is called Sanskriti Vedic Retreat. 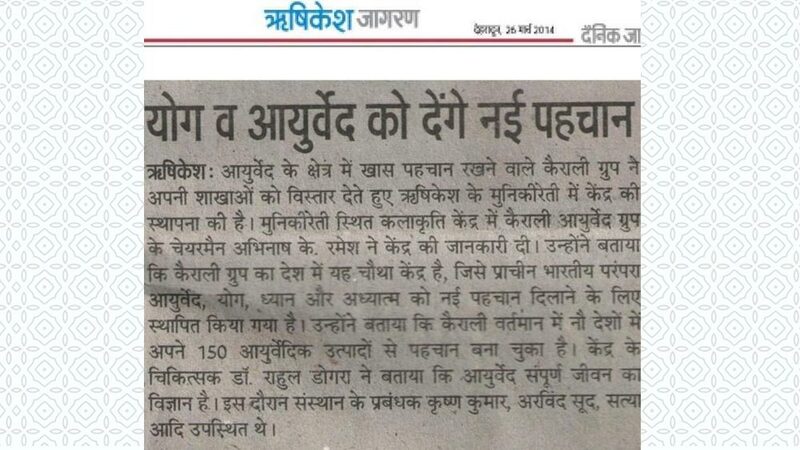 There was a article in the prestigious newspaper Amar Ujala highlighting the opening of the Sanskriti Vedic retreat. 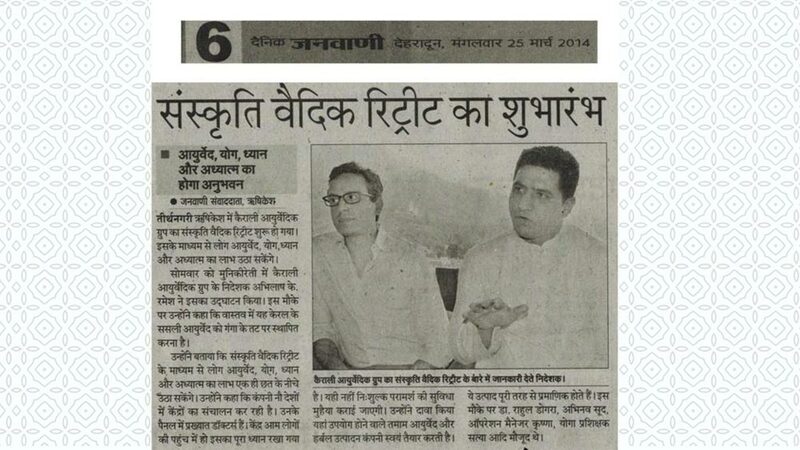 an article about the opening of the Sanskriti Vedic Retreat in Rishikesh was published in the 6th page of the prestigious newspaper Dainik Janwani The paper also quoted director Abhilah K. Ramesh who said that this retreat will offer the benefits of Ayurveda, Yoga and Meditation all under one roof. 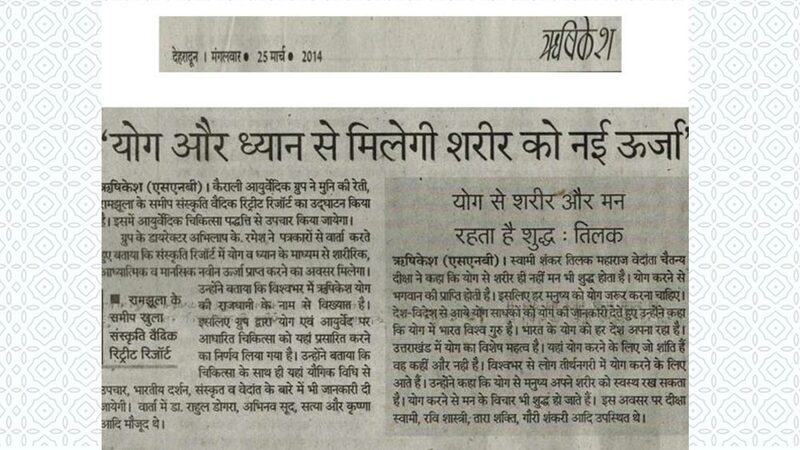 An wonderful article on Sanskriti Vedic Retreatâ€™s Opening In Rishikesh, by Rastriya Sahara. 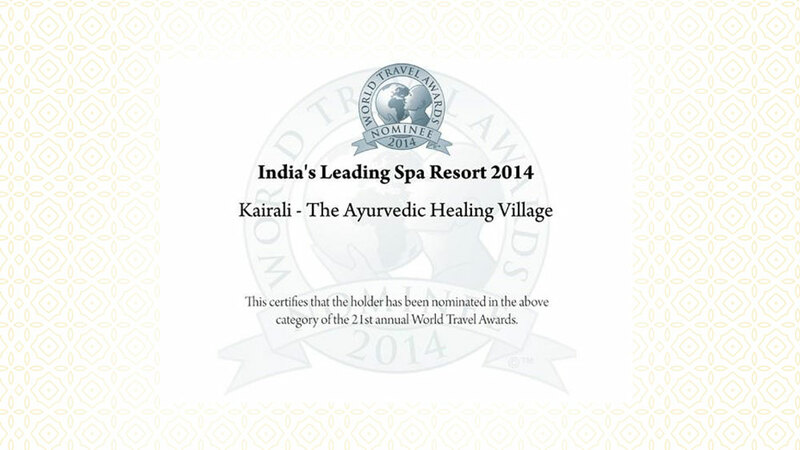 Kairali The Ayurvedic Healing Village is very proud to announce that it has been nominated in the Top Six leading SPA Resorts in India by World Travel Awards 2014, but it can win this esteemed award only if all the patrons vote for Kairali- The Ayurvedic Healing Village. Wxe want all of you to spend a few of your precious minutes online and vote for us. 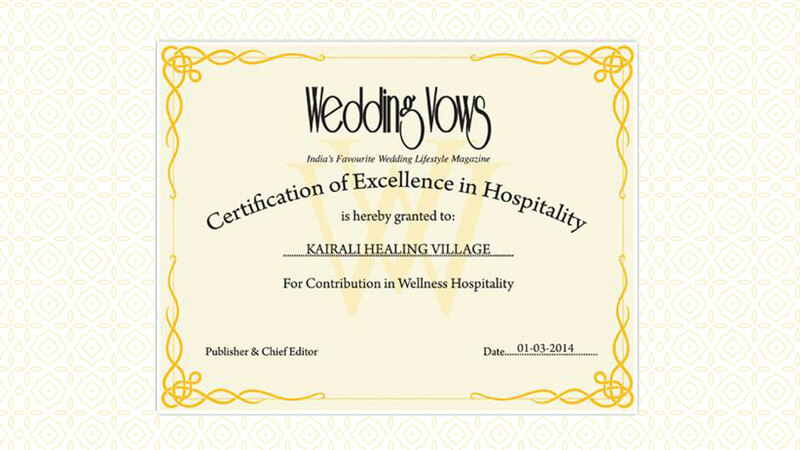 In its March 2014 issue the prestigious lifestyle magazine Wedding Vows recently published an wonderful article recounting the delightful experience the author had in Kairali- The Ayurvedic healing Village. She talks about the goodness of the Ayurvedic treatments that are offered here in this lovely resorts and also highlights the location of the resort in a pollution-free environment, amidst paddy fields and palm and coconut trees. 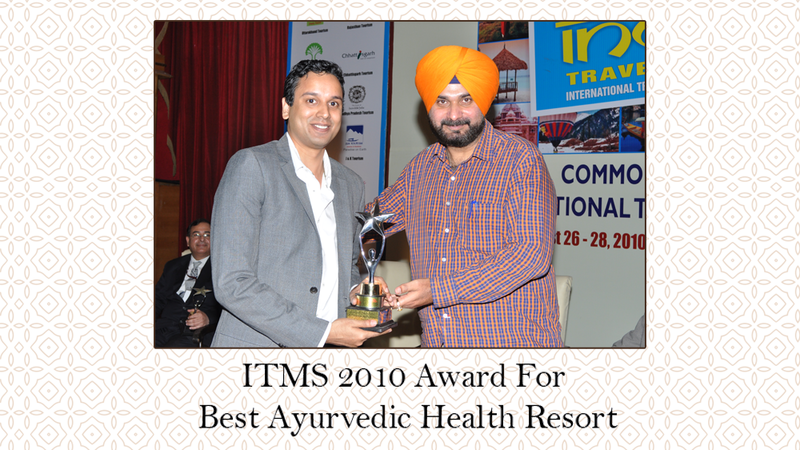 The Ayurvedic Healing Village awarded Best Ayurvedic Health Resort 2010 by India Travel Awards. KAIRALI - The Ayurvedic Healing Village is one of the best known Ayurvedic Resorts in the whole of India and it was once again proved when it was awarded as the BEST AYURVEDIC HEALTH RESORTâ€ by the prestigious India Travel Awards that was held on August 26, 2010. 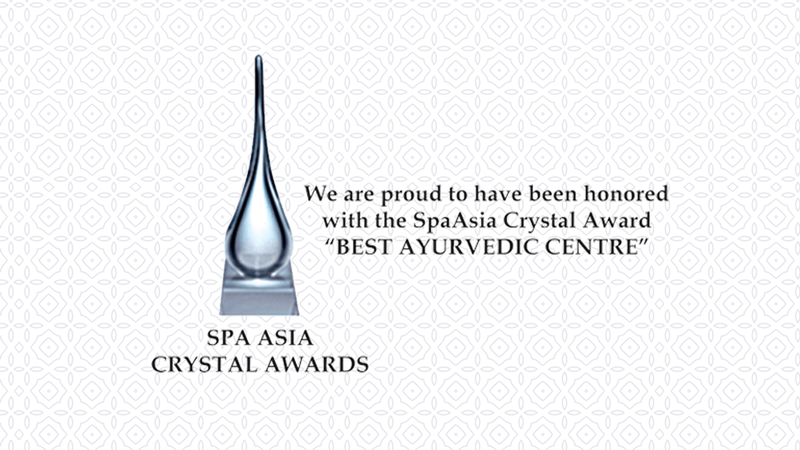 The Spa Asia Crystal Award, 2005 for â€˜Best Ayurveda Centreâ€™. Kairali - The Ayurvedic Healing Village situated in the serene and tranquil environs of Palakkad , Kerala is one of the best Ayrvedic spa and wellness center in whole of Asia and that is why is has been awarded the Spa Asia Crystal Awards, 2005 for the Best Ayurveda Center. 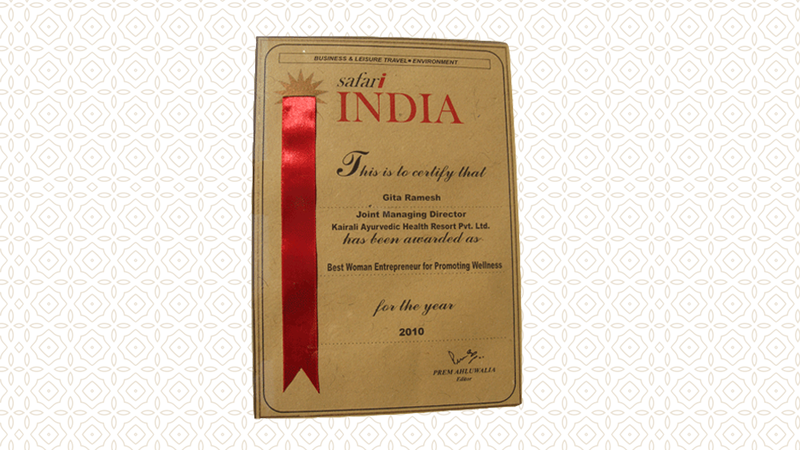 Safari India National Tourism Awardâ€ - â€œBest Woman Entrepreneur for Promoting Wellnessâ€, 2010. The most prestigious Safari India National Tourism Awards is an annual event where the best of leadership quality is recognized and honored from various fields like tourism, hospitality, wellness, airlines and individuals.Mrs Gita Ramesh (Joint MD â€“ Kairali Ayurvedic Group) has been awarded â€œSafari India National Tourism Awardâ€ for â€œBest Woman Entrepreneur for Promoting Wellnessâ€, 2010. The Safari India National Tourism Awards is given annually to recognize the leadership quality in the field of hotel, tourism, destinations, airlines, travel agent and individuals. 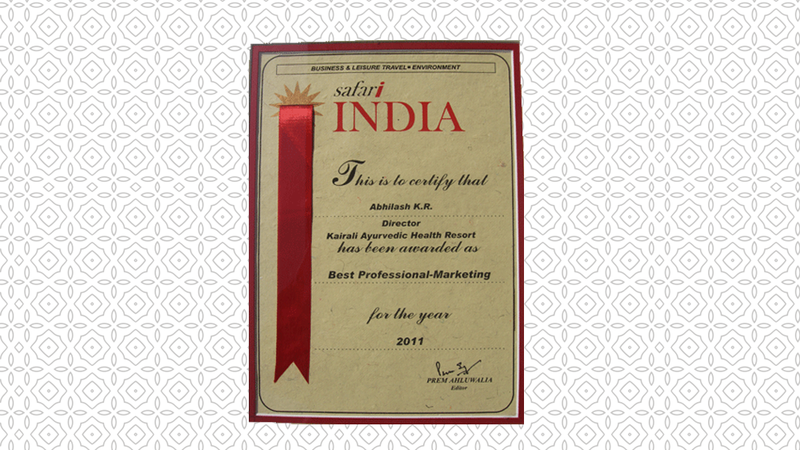 And the Director of Kairali Ayurvedic Group Mr Abhilash K.R has bagged the â€œBest Professional â€“ Marketingâ€ award of the Safari India. In a recent article published by the Times of India Kairali- The Ayurvedic Healing Village of Kerala has been listed as one of the top five leading ayurvedic destinations in India. This is a very honest and unbiased article about the many ayurvedic centers of India. and we are proud to announce that our resort The Ayurvedic Healing Village has been featured as one among the top five leading ayuvedic retreats in the whole of India. 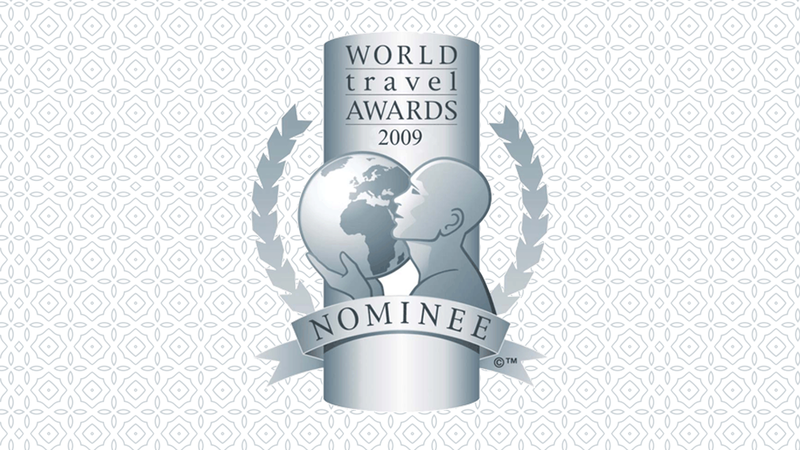 World Travel Awards, 2010 has nominated Kairali The Ayurvedic Healing Village in one of the most prestigious awards in the travel and tourism category of â€œIndia's Leading Resortâ€. This is the second successive time that The Ayurvedic Healing Village has got nominated for this award and this is a matter of great pride for all of us. 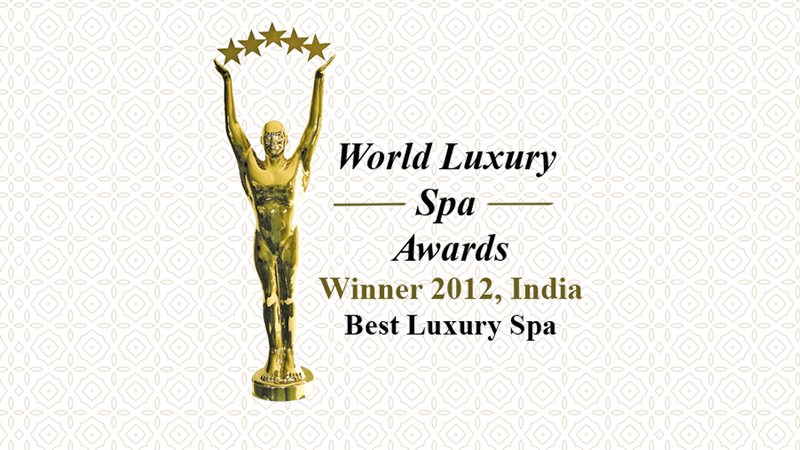 Kairali Group has added one more feather in its cap by receiving the World Luxury Spa Award 2012 for Kairali â€“ The Ayurvedic Healing Village under â€œBest Luxury Destination Spaâ€ Category. 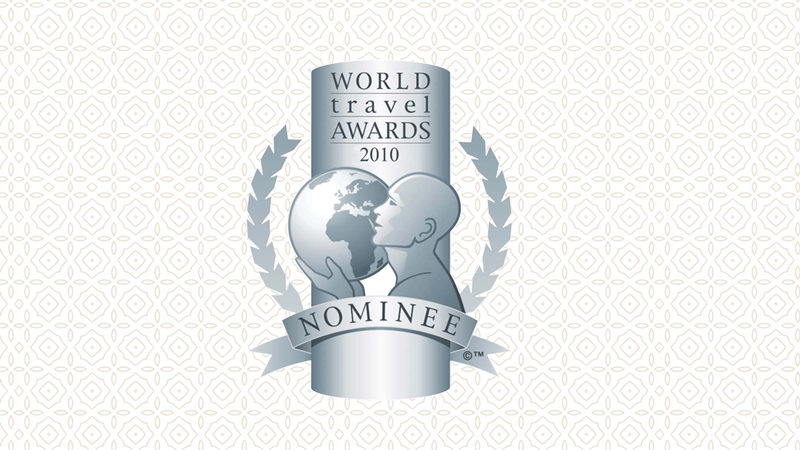 it is a matter of great pride as this award is considered as the zenith of achievement in the Hotels and Spas Industry. 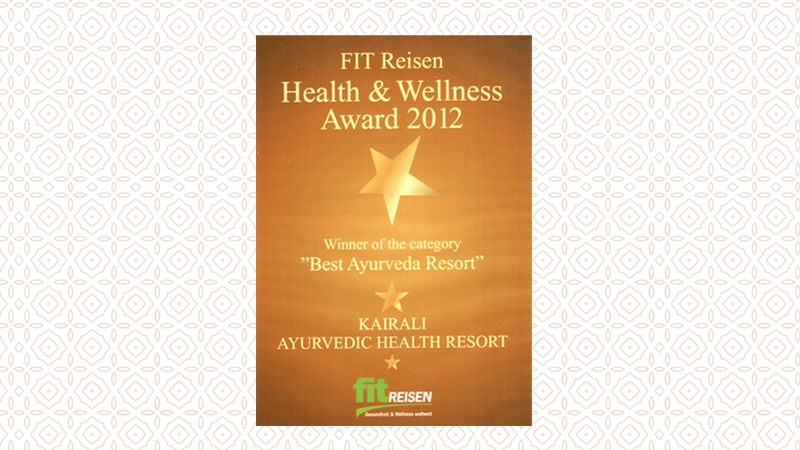 Kairali - The Ayurvedic Healing Village receives the FIT Premium Quality Certificate . 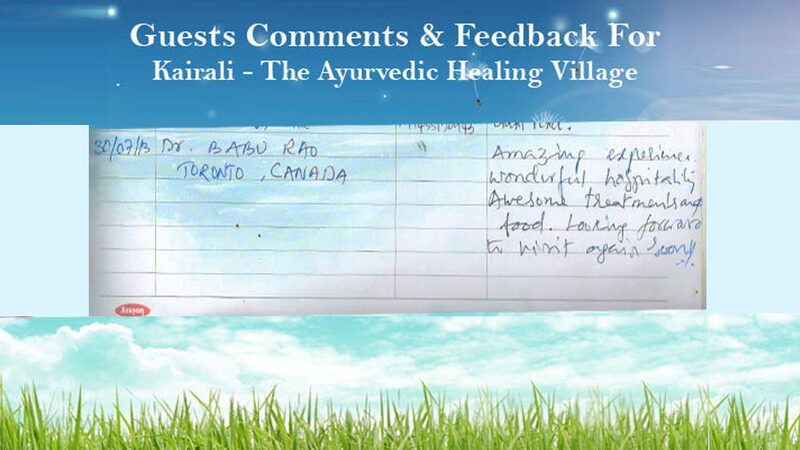 Kairali - The Ayurvedic Healing Village receives the FIT Premium Quality Certificate in Berlin , Germany for maintaining the highest quality of services. It is a matter of pride for all of us to announce that this is a very prestigious Certificate and it granted only after a prolonged assessment process to the hotels and resorts that maintain the highest required standards internationally. Om Beach Resort has been featured as â€œOur Pickâ€ for 2012 in Lonely Planet . 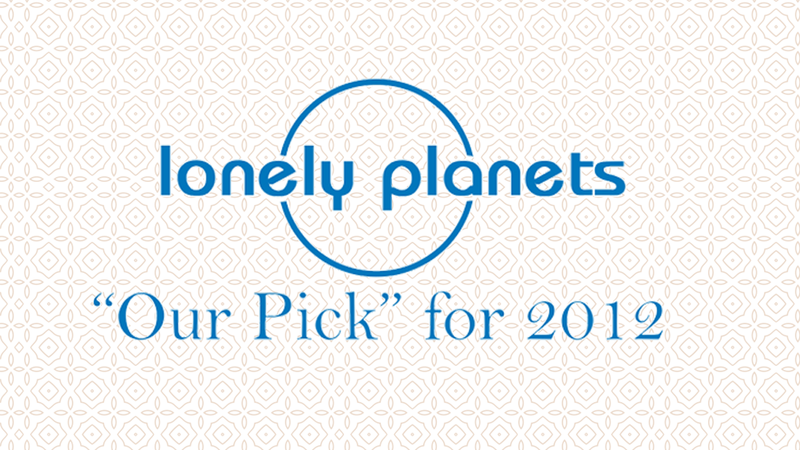 It is a matter of great pride for us to be featured in a prestigious publication like Lonely Planet and Om Beach Resorts situated at Gorkana, Karnataka has been featured as â€œOur Pickâ€ for 2012 in Lonely Planet. Kairali- The Ayurvedic Healing Village awarded ITM 2010 Award for â€œBest Ayurvedic Health Resort"
The prestigious and sought after ITM Awards 2010 for Best Ayurvedic Health Resort has been awarded to Kairali - The Ayurvedic Healing Village, for its Ayurveda treatments, services and the beauty therapies. The location and the quality of service i also taken into account while granting this award. We are delighted and proud to announce that Kairali - The Ayurvedic Healing Village has been awarded as the "Best Ayurvedic Centerâ€ for the year 2013 by Safari India. 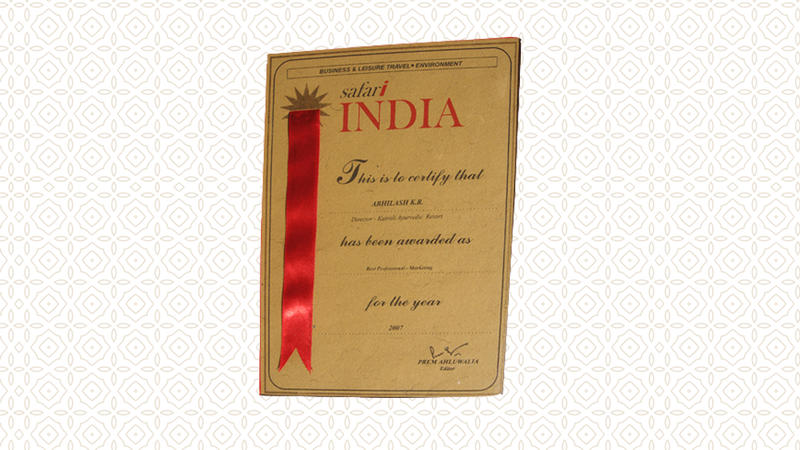 This award was presented to Kairali Group, after considering many other Ayurvedic Centers all over India, at a award ceremony held in New Delhi. 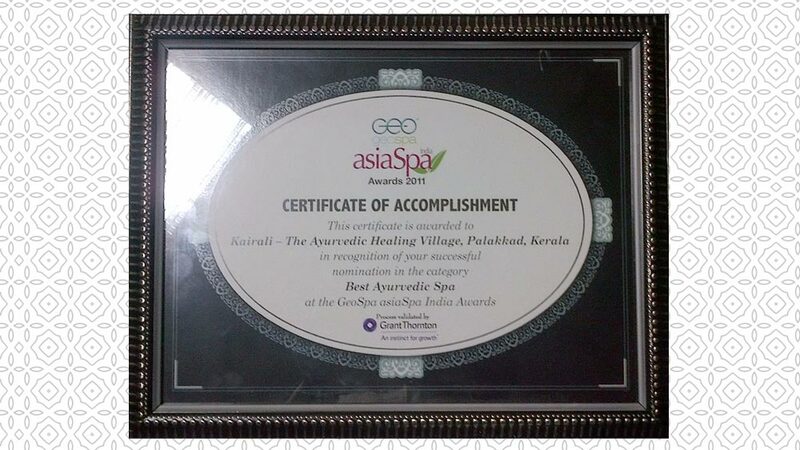 Kairali- The Ayurvedic Healing Village recently got nominated for the "Best Spa Awards" in the prestigious and esteemed GeoSpa AsiaSpa Awards India. it is a matter of delight and pride fort all in the Kairali Group as this is an award that recognizes only the finest and the foremost in the wellness and spa industry. The Kairali Group Director Abhilash K.R. has been recognized for the quality of his marketing skills with the Safari India's award for the 'Best Professional in Marketing', 2011. The simple food, soothing prayer and treatment brings discipline in your lifestyle. 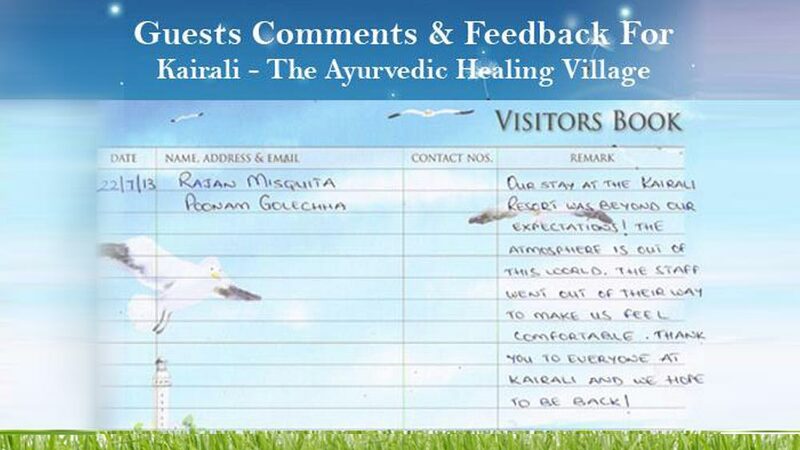 Away from honking and pollution, Kairali-The Ayurvedic Healing Village is the place where everyone needs to be. 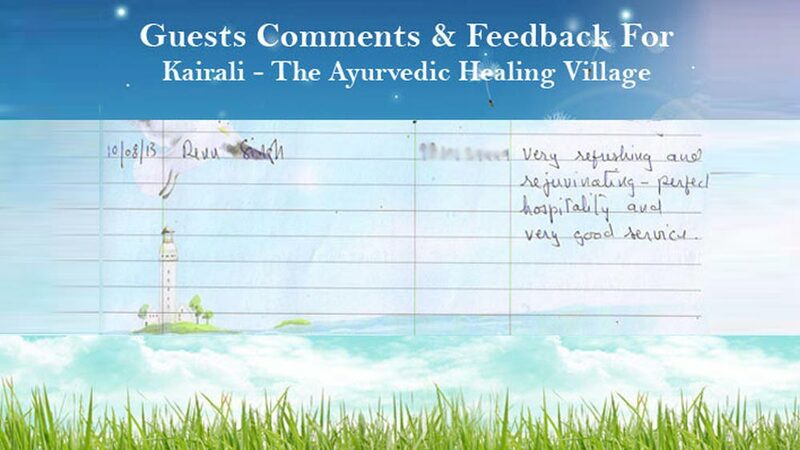 Before coming to Kairali - The Ayurvedic Healing Village, everybody is very much stressed and messed up. But when they step in, the refreshing breeze takes all the tiredness and worries and they start feeling very cool and calm. Kerala is an world famous Ayurveda destination and there are various ayurvedic destinations in Kerala providing both rejuvenating and curative therapies. 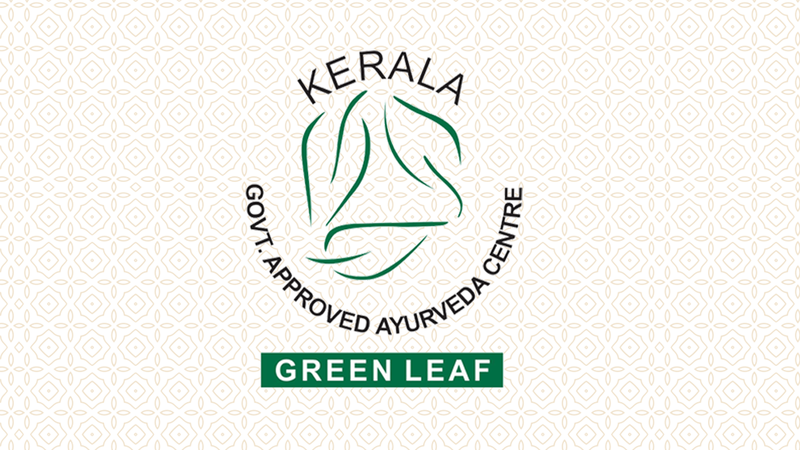 To maintain a world class standard the Government of Kerala provides the best Ayurveda destinations with Green Leaf Certifications based on their services, infrastructure , facilities and the availability of ayurvedic professionals and experts. 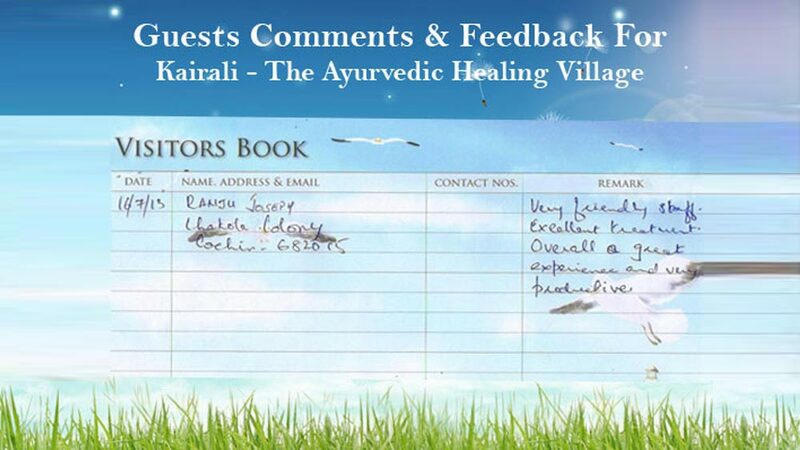 Kairali- the Ayurvedic healing Village has been awarded with this prestigious Green Leaf Certification. Age is a strong contributor in the development of unwanted skin change, one important amongst which is dark circles. Due to age the skin loses it collagen and becomes thinner thus they are more noticeable and prominent in old people. Neither we can stop ageing nor can we control medical condition but yet it possible to cure dark blemishes by eating right, working out and discipline our lifestyle. 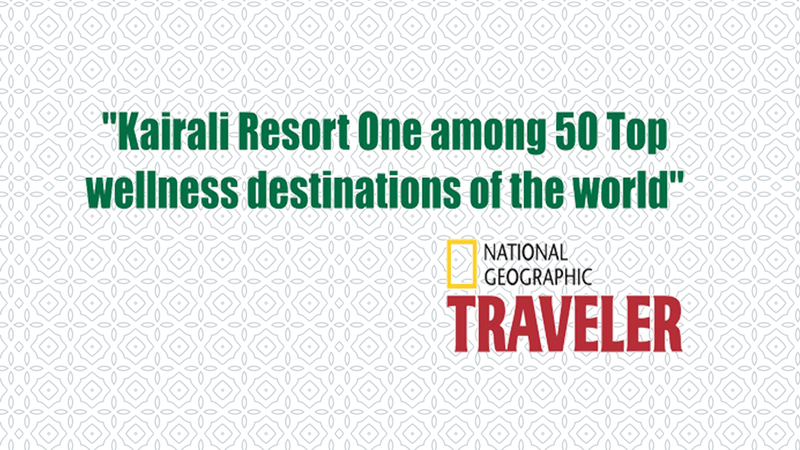 Kairali- the Ayurvedic Healing Village has been listed as one among the top 10 in Asia and top 50 in the world by National Geographic Traveler. 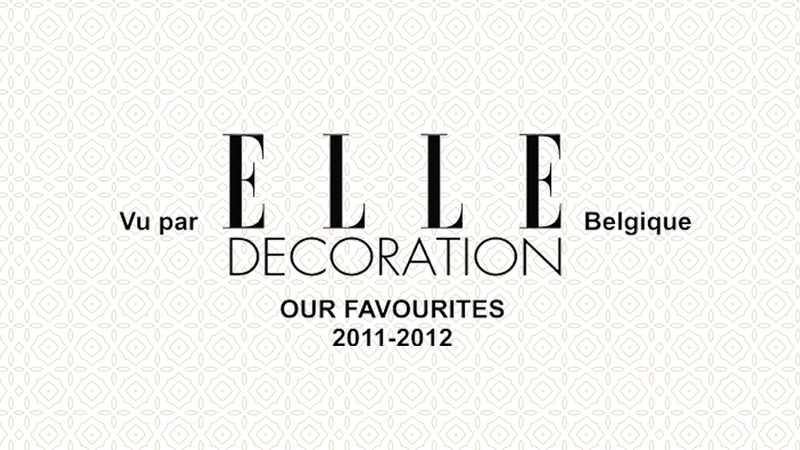 This is a very prestigious magazine and is read by all across the globe. 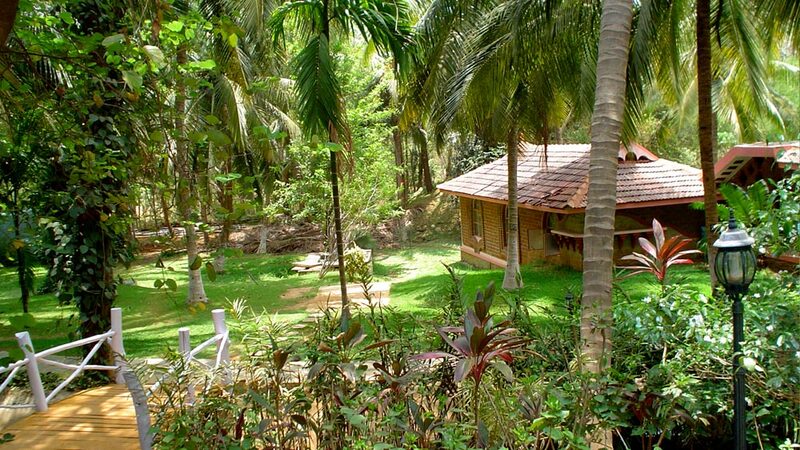 Worlds first ayurvedic healing village is calm and peaceful. It is one of the finest locations where one can relax and rejuvenate. Get yourself a break from the anxiety and stress of todays life and visit Kairali-The Ayurvedic Village to experience the warmth and soothe of Mother Nature. I was truly blessed because I got the perfect hospitality, good service along with a scenic view of the lush green surroundings, breath taking beauty danced every moment in front of me. 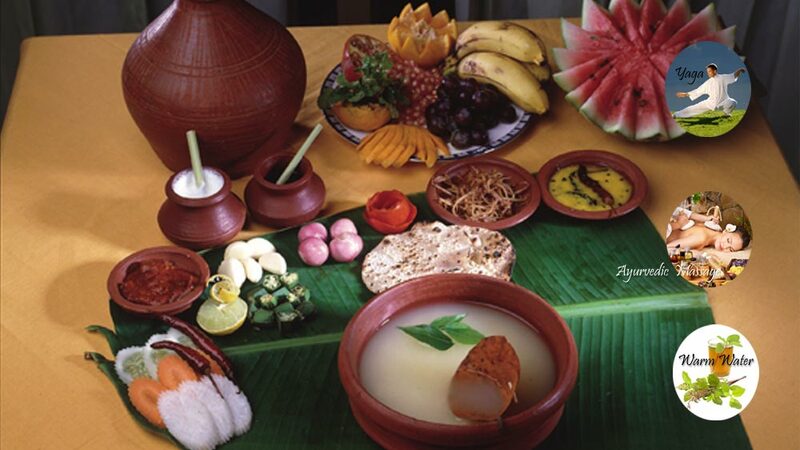 The quality of the food and the service add more to the delight of being at the Kairali-The Ayurvedic Healing Village. GOA - AMERICA HEART FOUNDATION Organized GALA CHARITY BALL on September 21, 2013 at New Jersy where it held a Silent Auction and Kairali was one of the Silent Auction Donor for the event. 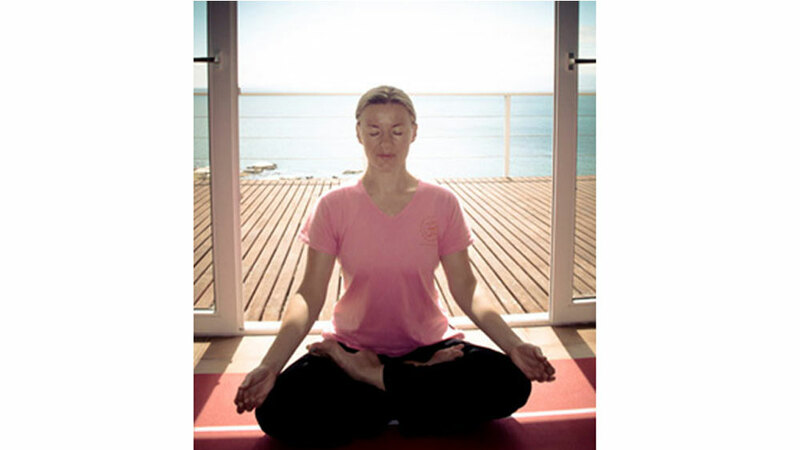 Yoga Therapy Retreats at TheAyurvedic Healing Village. Kairali Yogas Yoga Therapy programs present an excellent option for guests wishing to keep up an active process of self-healing long after they return home from their spa break. 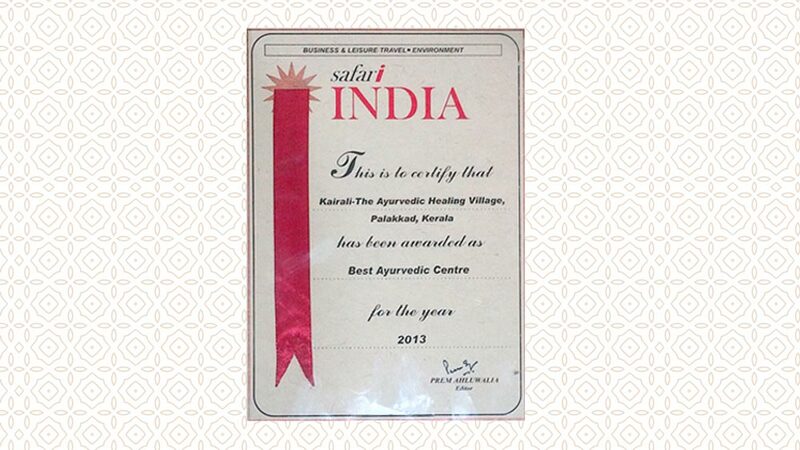 As the recipient of the Safari award for â€˜Best Ayurvedic Center 2013â€™, Kairaliâ€™s reputation continues to soar and this is undoubtedly due to the long-term difference they have enacted on the lives of so many. View the locations of Kairali’s Delhi head office, luxury Ayurvedic retreats, international spa franchises and Ayurvedic treatment centres. Customers and distributors of Ayurvedic spa products and equipment can find our customer services contact details on these pages. 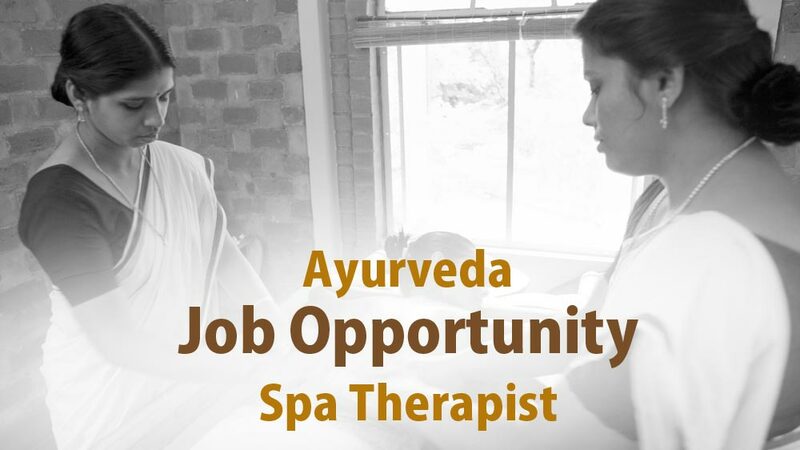 Ayurvedic doctors and therapists may enquire about career opportunities with Kairali here. We also offer training in Ayurvedic therapies and Yoga for health professionals seeking to deepen their therapeutic skills.